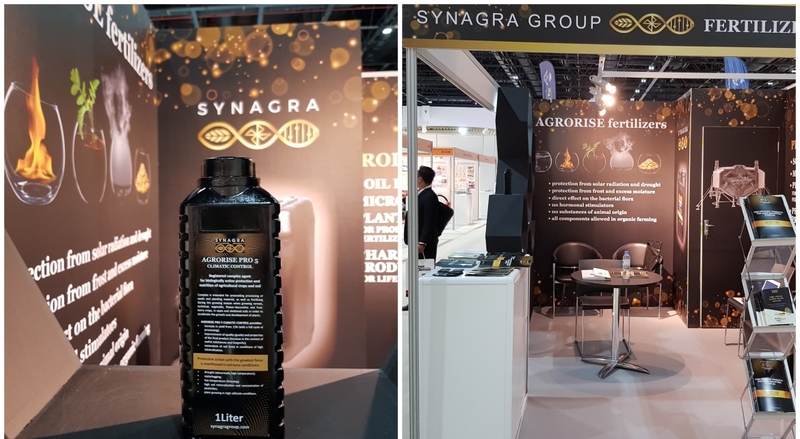 SYNAGRA GROUP company participated in the international exhibition AgraME 2018. The exhibition was held from 5 to 7 March in Dubai, United Arab Emirates. The delegation from SYNAGRA GROUP, headed by the Director for Foreign Economic Affairs, held a booth in the sector of crop farming. SYNAGRA GROUP was the only company, which represented Ukraine. AgraME is the largest industry exhibition that unites many sectors, such as animal farming, crop farming, aquaculture, animal health. This year the exhibition was visited by more than 5000 people from different countries, mainly from the regions of the Middle East and Africa. These regions are actively developing and are represented by many large companies and agricultural holdings. SYNAGRA GROUP had many meaningful dialogues during all exhibition days and held fruitful negotiations with a lot of players of the market in this region. The specificity of this region is that only through personal communication you can get the first contacts, requests and feedbacks. That is why we highly appreciate the time spent in the UAE. We express our gratitude to the organizers of the exhibition AgraME 2018 and UAE Ministry of Climate Change and Environment.